It's that time again. Soon they will be upon us. Cicadas — 17-year cicadas, to be exact. Parts of the U.S. can expect to see, and hear, these insects sometime next month when they rise from the ground to mate. And that's all that they're here to do. They've spent the rest of their life underground -- all 17 years of it. The adults, the ones that make all the noise, only live above ground for about six weeks. 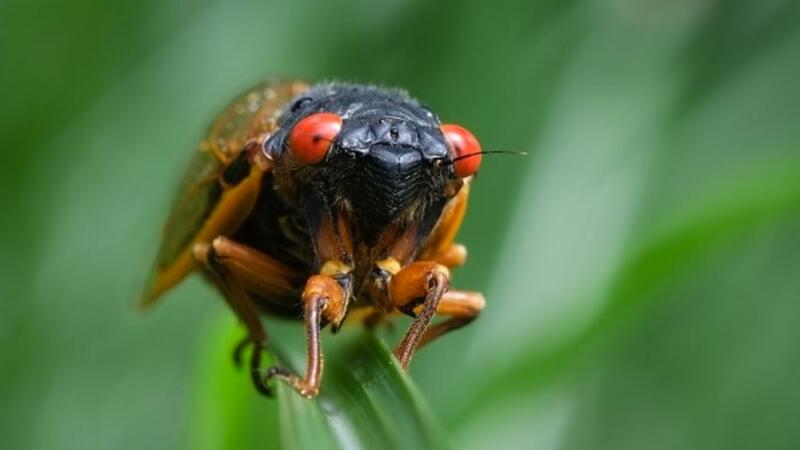 But in some places, there could be as many as 1.5 million cicadas per acre. Males use that sound to look for females so they can mate in that brief time. They can reach 90+ decibels in some instances. That's about the same as a lawn mower. So if you live in Ohio, West Virginia and other neighboring states, now might be the time to invest in some ear plugs. When it's all said and done, the females will lay eggs in a tree. After the eggs hatch, the newborn cicadas -- called nymphs -- will bury themselves in the ground and chill for another 17 years.